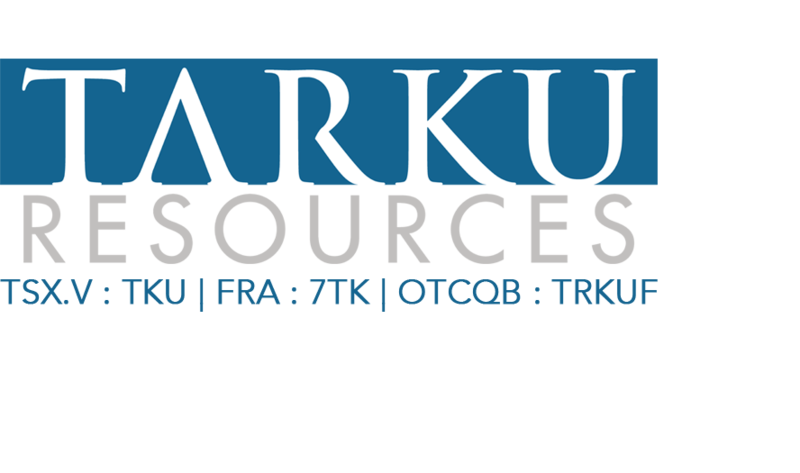 Cranbrook, BC, April 8, 2015: Tarku Resources Ltd. (TSX-V: TKU)("Tarku") announces a non-brokered private placement offering (the "Offering"). Tarku intends to issue up to approximately 6,000,000 Units to raise gross proceeds of up to $500,000. There will be a Flow Through portion as well as a Non-Flow Through portion. Tarku intends to raise up to $500,000 as follows: $250,000 through the issuance of up to 2,777,777 Flow Through Units ("FT Units") at a price of $0.09 per FT Unit. Each FT Unit will consist of one FT common share and one share purchase warrant. Each Warrant shall be exercisable to acquire one additional Non-Flow Through common share until that date which is two years from Closing at an exercise price of $0.20. In addition Tarku intends to raise up to a further $250,000 through the issuance of 3,125,000 Non-Flow Through Units ("NFT Units") at a price of $0.08 per NFT Unit. Each NFT Unit will consist of one common share one and share purchase warrant. Each Warrant shall be exercisable to acquire one additional Non-Flow Through common share until that date which is two years from Closing at an exercise price of $0.20. Both warrants will be subject to an accelerator clause whereby the Company may require exercise of the Warrant if the Company’s stock price trades at or above a volume weighted average of $0.25 for a period of more than 10 consecutive trading days (the “Acceleration Event”). The Warrants, if unexercised after the Acceleration Event, will expire upon 30 days from the date of notice in writing to the Warrant holder by way of issuing a news release. The Offering is subject to the acceptance of the TSX-Venture Exchange. The Company may pay finder’s fees in cash and/or securities of the Company in respect of the Offering. All securities issued to purchasers and finders under the Offering will be subject to a four-month hold period from the date of issuance of the securities, pursuant to applicable securities legislation and the policies of the Exchange. Chateau Fort Property in Quebec, and for general working capital. Tarku has recently obtained the option from Anthem Resources to earn a 100% interest (less NSR) in the Chateau Fort property by issuing 8M shares and making $100,000 in cash payments over 4 years (see TKU news release Mar 24th, 2015). Visible Gold has reported assays of up to 63.83 g.t Au, 62.6 g/t Ag, 2,.63% Cu and 4.62% Zn in 11 boulders at Km 150, and up to 142.8 g/t Au, 22.2 g/t Ag and 0.61% Cu in boulders at Km 147. Mineralized boulders are reported to be angular and magnetic with “alteration minerals and semi-massive to massive sulphides”. The rocks have the appearance of banded mafic/felsic volcanics with sulphides and quartz layers, based on photos on the VGD website. It is likely that they are sourced from the NNE, based on the regional ice direction indicators.